FPL 2016/17 looks to be an interesting season as managers have to be more careful in selecting their 15 players with the £100.0m budget. Top players from last season have seen a hike in prices (ie Mahrez & Vardy). With price increase, managers have to either do without them or cut their budget from defenders or goalkeepers. Today, I will highlight 3 goalkeepers that I believe will be a good bargain for your team. Highly rated as England’s number two goalkeeper behind Joe Hart, Jack Butland looks to start the season strong against Middlesbrough. Last season, Butland was extremely popular with FPL managers as he was a good budget option, and managed a hefty amount of points in the end. He secured a respectable 10 clean sheets throughout the season where he played 31 games. He only missed matches due to injury. Stoke’s defence was exceptionally good during the first half of the season and for this season, they will look to have a get their clean sheets early. Apart from Gameweeks 2, 3 and 4 where they face City, Everton and Tottenham, Stoke’s fixtures up to Gameweek 13 looks relatively easy for them to navigate through and get their clean sheets. At £5.0m, Butland is a great buy for you early on this season. Ben Foster is another English goalkeeper that I believe will do very well this season. Even better, he is priced at £4.5m and playing for West Bromwich Albion who are very good at parking the bus. This is mostly due to the good defensive tactics by their manager, Tony Pulis. Therefore, having him in your team will benefit you greatly, as he is cheap yet can get you clean sheets at the same time. During the 2015/16 season, Foster suffered an injury early on and only made his return late in the season where he had 15 appearances, with 4 clean sheets. Let’s go back to the 2014/15 season. He had 28 appearances and managed to get 11 clean sheets. That is pretty solid for a budgeted goalkeeper in the Premier League. The final goalkeeper in this list is Kasper Schmeichel from the current Premier League champions, Leicester City. The Foxes surprisingly won the Premier League last season, and a large part of it was credit to their defence. They had a staggering 15 clean sheets throughout the season. Arsenal had the most clean sheets with 16, and for Leicester to do that, it is impressive. Italian managers such as Claudio Ranieri and Antonio Conte are better at managing their team defensively and have an overall tight defence. For this season, Ranieri would look to have his defence as good as it was last season. Their fixtures are pretty mixed up at the start. They have relatively easier fixtures on odd Gameweeks such as GW1, 3, 5, 7, 9 whereas on even Gameweeks such as GW2, 4, 6, 8 and 10, they play Arsenal, Liverpool, Manchester United, Chelsea and Tottenham. From GW11 onwards, which is early November, Leciester’s fixtures gets better until January. Therefore, you can alternate Schmeichel at the start of the season, or get him in November. At £5.0m, he is a good option as you never know what Leicester can achieve defensively this season. Spending a total of £9.5m on these types of goalkeepers I think is a good benchmark as it saves you cash for other positions and will get you good returns throughout the season. I believe they will have a decent 2016/17 season as they have proven that they have the skill, quality and potential to do well. The Fantasy Premier League season starts long before opening day. Draft day requires preparation, practice and patience - and even then there are plenty of pitfalls which can trip-up even the most experienced FPL draft manager. If you're new to playing draft FPL (or even if you're not), the guide from Fantasy Premier League draft site Togga will give you everything you need to ensure your draft day is the best day of the season - and set you on your path to FPL glory. Watch Out: Call it David Moyes Syndrome. Trying to ink a marquee midfielder, but transfer deadline day has arrived? Quick throw gobs of dosh at Marouane Fellaini. It's felled many a manager in their prime, and it can happen to you if you don't have a standby. Targeting Moussa Dembele in Round 7? Keep one eye on Ahmed Elmohamady as potential cover. Otherwise you might panic and draft Bastian Schweinsteiger. And no one wants that. Simple Fix: For every player you identify to draft, pick a second player you think is of equal value as a back-up. Use Togga's FPL Cheat Sheet as a guide. This is a vital topic, and one which will have its own post shortly, that often goes overlooked. Every manager would love to trade their fifth midfielder (a Gareth Barry type) for a rivals top forward (hello, Sergio Aguero! ), but those deals rarely happen, and shouldn't ever. The key to winning your league is finding value in smaller deals. If you've identified that your team isn't scoring well at the back, it's worth paying a premium to shore-up a leaky defense. If you've drafted well and have a surplus of value from one position, you can afford to trade away Midfield Maestro for Danny Defender knowing that the move makes your starting XI better, even if the two players aren't even value in a vacuum. Watch Out: If you can't find a simple 1-1 trade or if you keep getting rebuffed by a rival who only wants to trade for your best player, many managers will get worn down. This is the £40,000,001 bid and you shouldn't accept it any more than Liverpool did. Just because you don't need to get the most value in a deal doesn't mean you shouldn't get the most value for your team. Simple Fix: Once a week look at your opponent's rosters and send one trade offer to each manager. Try offering deals including multiple players where you deal from strength to add depth to weak areas. By making incremental additions to your squad, you'll end the season strong and handle the run-in with the deft touch of Alex Ferguson. Just don't pull a Kevin Keegan - loose lips lose titles. 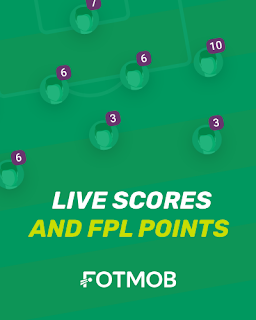 Use Togga's Fantasy EPL app to practice now! Looking forward to seeing you join the movement and help you launch your Fantasy Draft now! Ever wondered what makes the top FPL managers tick? When do they play their Wildcards? Why do they make their transfers? And how successful are their captains picks? We believe strategy plays a huge part in fantasy football so in true fix style we've crunched the numbers. Fantasy Football Fix have analysed data from every gameweek for not only the Top 50 managers in the world last season, but also the Top 50 managers with the best overall FPL record of all time! • 46% of the top managers had used their first wildcard before GW3. • 40% of the all time the Top 50 managers used 2 or 3 players who were on their bench in the previous Gameweek. • As much as 80% of the all time Top 50's Captain Pick was amongst the top 3 most popular in that Gameweek. 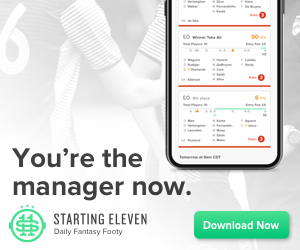 We can tell you now that the data is revealing, and we don’t just give you tables of stats, use our toolsets to apply the stats from the best managers in the game to create your Gameweek 1 squad. 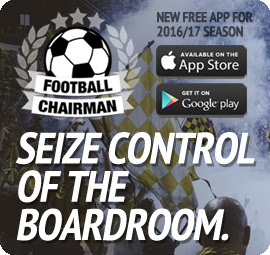 Starting with preferred formations and spread of budget across all positions, glean insight into the most effective rotation and captain strategies, before taking a look at the the transfer trends and use of wildcards and chips to keep your team firing on all cylinders as the season unfolds. It's time to start thinking about your FPL squad selection! Fantasy Premier League is a daily ritual for many, not merely a past-time, but a way of life. 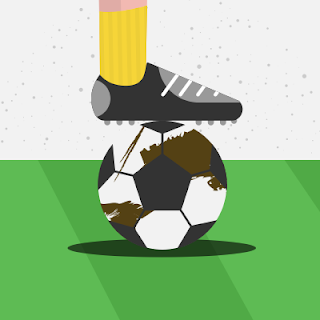 With Football Survivor, we’ve created a game which seamlessly fits into the average football fanatic’s day. 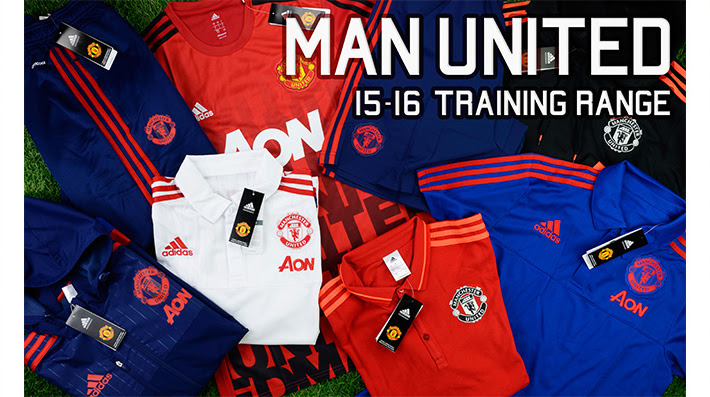 Each week, each player, picks one team from the Premiership round of fixtures, to win their respective match. If they lose, you lose points, if they win, you don’t. It’s that simple. But there’s a catch… you can only pick each team once. A popular concept amongst many, the office, the university lecture hall, we’ve decided to generate the perfect platform for people to play. For our introductory post, we’ve decided to offer our expert advice on the opening weekend of the Premier League! Will the greatest football story ever told get a sequel? Or will we see Leicester slide down the Premier League table? The Foxes stormed the BPL last season and completed the most unexpected, dramatic and sensational title win in living memory. With unprecedented style and swagger, a team which was almost relegated the season before, smashed their way past Arsenal, Tottenham and Manchester City. Highlights included, Jamie Vardy breaking a premier league goals record, scoring in an unbelievable 11 consecutive matches, whilst Mahrez dazzled and terrified defences across the country, epitomised by his sensational solo effort in a 3-1 win at the Etihad Stadium. This summer, N’Golo Kante, arguably Leicester’s most fundamental player, has transferred to Stamford Bridge to line up alongside Conte’s new men. It’ll be interesting to see how the Foxes fare this season in their title defence. However uncertain there success may be, an opening weekend fixture win at newly promoted Hull City, currently without a manager, looks a banker. Certainly, if Morgan, Drinkwater, Mahrez and Vardy are on song, then Hull have no chance. It seems strange saying that it is a risk backing Jose Mourinho to win his opening Premier League game. But, there really is no way of knowing how this is going to go. Mourinho brings with him, success, style and a lot of baggage. Chelsea’s pathetic defence of the title last season was largely explained by Mourinho’s poor temperament and stubbornness. Certainly, his treatment of Eva Caneiro, Chelsea’s doctor, earned him little praise and a lot of enemies. Similarly, United were abysmal, last season, finishing 5th. The rigidity of Van Gaal’s system resulted in the lowest number of goals scored by a Manchester United team in any Premier League season. Memphis Depay arrived as one of the hottest prospects in European football, but ended the season being left out of the FA Cup Final squad; perhaps a result of LVG’s anti-creativity style of football. Chants of ‘attack, attack, attack’ would regularly erupt inside Old Trafford, as United fans became as desperate as they were frustrated. This season, things might be drastically different. The arrival of Ibrahimovic, Mkhitaryan, Baily and potentially Paul Pogba, for a world record transfer fee, would spark immense excitement in Manchester. The million dollar question is whether Mourinho can rejuvenate this Untied team to the heights of Sir Alex Fergusson, or whether we are really seeing the steady decline of England’s biggest football club. We're not all the same. There are good managers, bad managers and bang average managers. There are dedicated managers and there are casual managers. So what are the classic types of FPL gaffers and what separates the Mourinhos from the Moyseys? He picks a team in 5 minutes on the day of the game's launch featuring 3 defensive midfielders, two second choice goalkeepers and a player who leaves for another league, but when he realises the season has already started. He forgets his password and his managerless team spends the rest of the season at the bottom of your league, making your rank look better than it should. This is a manager who wants to win for bragging rights, and expects to win. He believes his opinionated football knowledge will be enough to propel him to the top of his mates' leagues straight away and he reckons he will stay there for the rest of the season. After a couple of drafts in July, he is happy. He splashes out on the big-money signings and fills the rest of his team with the cheapest starting players he can find. He knows who his favourite players are, he knows who will win the league, who will be top scorer and who will flop right from the start and he won't be told otherwise. Call him arrogant and boastful, but one thing he isn't is a boring sheep. If his bold gambles come off, then he could be in for a great season, but if not then he is too stubborn to give in to the bandwagons. He is not prepared for other outcomes than success, he can fall behind early on and, to the hilarity of his mates, spend the rest of the season moaning about how Wenger's tactics don't get the best out of Alexis Sanchez, how Ivanovic shouldn't start for Chelsea, how the referees always favour the smaller clubs and give up on his FPL team for another season. This man is ahead of the game. After an intense summer of drafting, he has already planned his transfers and team selections a month in advance. He prides himself on his impressive ranks and will use them to back up his opinion in any football-related discussion. His risk-free rotation pairs took hours of contemplation. He knows that Pulis' defensive shape will be able to hold out for a nil-nil draw against Everton in gameweek 2, but he knows Lukaku will have more space in behind the Sunderland defence in gameweek 4 so he will factor that into his plans. He tactically analyses every televised Premier League game and is a keen watcher of Match of the Day so that he is aware of who is the most influential player in each team and where each teams' weaknesses are. His dedication pays off towards the end of the season when his team value allows him to sign any player possible in his wildcard team ready for the double gameweeks. On hand to offer guidance, but his team is top secret information. He is a man of principles; form over fixtures, potential over names. This is also not someone to waste any cash. He will compare the points per 1.0 of all of the players in each position before coming to a well-informed decision of the best value players in the game. Goals per game? Shots per game? Key passes? His selections will bare it all in mind. He may tinker a lot at first, but once he's settled on his winning formula he can climb the table and will make sure he stays there. He will put in the research to spot the differentials- the players no one has who the stats suggest is performing well. This is how he is able to transfer in the form players before everyone else and notice when their run of form is coming to an end. This all sounds good, but he can never sit back and enjoy a game of football without thinking about how it affects his fantasy football team. This breed of manager represents most of us. Some of us are just born to manage a fantasy football team. We are obsessed with football and admittedly sometimes even more obsessed with our fantasy team. Let's face it, our actual real life interests can go out of the window when anyone in our fantasy team are playing live. It's Sunday, you need 25 points from Aguero and De Bruyne to win your head-to-head. You will be a secret Man City fan whether the team you support are playing at the same time as Kun and KDB, or if your supported team are playing against Man City, or your wife/girlfriend wants to 'go out for the day' and 'socialise'. No chance. And there is nothing we would rather do on a Saturday afternoon than sit in front of Sky Sports News while scrolling through Twitter updates because there is no better thrill than finding out your captain has scored in extra time, just as it happens! We might not be top of our leagues, but we squeeze every bit of tension, drama and excitement out of a free game we have always loved. To us, fantasy football is more than just a game, more than a mere fantasy but a real-life profession. We invest a life's dream into winning FPL and won't stop until we do. This is our season! The FPL General, a two-time top 400 FPL manager, gives us some initial insight on his pre-season tinkering. Have a read at his ideas for team selection. As August approaches, I have started to draft my FPL team for the season ahead. My most recent take (as shown below) will no doubt change many times before 13th August. This article will touch on some of my early thoughts on the season ahead and I will mention some players who are attracting my interest. Before I discuss my current draft team, I should mention that I will most likely use my wildcard early this season, between gameweeks three and four which is the two-week international break. With so many managerial changes and doubts over the fitness of many players after this summer's international tournaments, I intend to set up my team with the first three gameweeks in mind. By the time the international break comes around, I will have a lot more knowledge regarding how each team is set up and which teams/players have hit the ground running. I will continue with my usual strategy of deploying a 3-4-3 formation. The million dollar question for me in picking my initial squad this season is whether or not to include Zlatan Ibrahimovic alongside Sergio Aguero in my front three. Aguero is FPL gold in my opinion and he will always be in my team whenever fit. Of course, including Zlatan alongside him puts a serious strain on my budget. It weakens the rest of my squad but at present I believe he is worth it. United’s first three fixtures are very favourable and I expect the big Swede to come out of the blocks firing. With Zlatan and Aguero taking up two of my front three positions, I had to look for a budget option for the third striker's berth. Currently, I'm on Alvaro Negredo, but it's a toss up between him, Callum Wilson and Andre Gray. This position in my team is likely to chop and change quite a few times before the start of the season. Charlie Austin is another who I will be monitoring in the early weeks of the season. I see a lot of managers including Shane Long in their drafts but I'm not convinced. I'd much prefer a fully fit Austin. Initially, I included Kevin De Bruyne in my first draft. He could well end up back in my team before August 13th. I opted to change him for Eden Hazard as I want some Chelsea coverage for the first couple of weeks. It's difficult to see how Conte is going to set up but I expect the Belgian to come back with a bang this season after his disappointing campaign in 2015/16. The Chelsea midfield offers some very good value this season with Cesc Fabregas, Willian and Pedro all priced at 7.5m. I don't plan to include any of these options in my Gameweek one squad but I will be keeping a close eye on them in the opening few weeks of the season. Kevin Mirallas is a player I have big hopes for this season. He fell out of favour under Roberto Martinez but could well be rejuvenated under new coach Ronald Koeman. If he can force his way back into the starting eleven at Everton, he could be a steal at 6.5m. I will be keeping a close eye on Everton's pre season fixtures to gauge whether or not Mirallas is worth taking a punt on for Gameweek one. Andros Townsend was an important part of my team at the back end of last season. He is a player I rate highly and I expect him to continue from where he left off last season. Townsend is one player I'm pretty sure will be in my squad for the first three Gameweek’s of the season. My fourth midfield spot is currently taken up by Andre Ayew. He is a player I didn't own at any point last season. Ayew finished on 12 league goals last season and I expect him to improve on this. It looks as though he could be the main striker at Swansea which makes him very attractive being listed as a midfielder (out of position, potentially). I'm a big fan of Sigurdsson as well and it's a close call between the two of them. Ayew is shading it for now. My fifth and final midfield spot will go to a 4.5m priced player who will warm my bench. I currently have Leko from West Brom who is showing promise in pre season but this position won't be finalised until closer to the start of the season. Bojan is a player I have watchlisted. Listed as a midfielder he could play a lot further forward and I expect a better season from him after his injury problems last season. 6m for him could turn out to be great value but I won't invest in him initially. I can say the same about Jay Rodriguez who I will also monitor in the early weeks. I am intrigued to see what role Juan Mata will play for Man United under Mourinho. If Jose sees him as a key member of his squad he would offer serious value at 7.5m. I'm willing to go without the likes of Mkhitaryan, Sanchez, Firmino, Mahrez, Payet, Ozil and Alli for the opening three gameweek’s and then reassess my options while playing my wildcard during the international break. At the same time, any one of these guys could be in my Gameweek one squad. Ronald Koeman's Southampton were solid defensively. This bodes well for Leighton Baines. Everton leaked goals under Martinez last season and Koeman's appointment should shore things up at the back. In addition, If Baines can get his fair share of set pieces, he is a no brainer at 5.5m. If Baines isn't on any set pieces, I prefer Seamus Coleman as an attacking threat from play at the same price. I expect Everton to start the season strongly with a decent run of fixtures in the early part of the season. Antonio Conte is Italian. It goes without saying, Italians have a masterful knack for defending. This is why I will include a Chelsea defender in my team from gameweek one. With Kurt Zouma set to miss the start of the season I'm pinning my hopes on John Terry being a key member of Conte's Chelsea. I expect Chelsea to be very hard to break down this season and Terry is always a threat from set pieces. I have seen few defenders who are as threatening as Virgil Van Dijk in the opposition's penalty area. I owned him for a period last season and he has a very good chance of keeping his place in my team for Gameweek one. With Crystal Palace signing Steve Mandanda and James Tompkins, they should improve defensively on last season. Pape Souare offers good value at 4.5m and is a player who likes to attack. Palace's opening three fixtures are decent. My fifth and final defender will be a 4m priced player who will be bench fodder. Currently it's Lenihan of Hull City mainly due to the fact that they have only 13 fit players at the moment so he has a good chance of getting game time. This position won't be finalised until closer to the start of the season. If Charlie Daniels is still on penalties at Bournemouth he will find his way into my team at some point. He was a hero for me towards the end of last season. Patrick Van Aanholt is another player who is in my thoughts. I'm a big fan of Alberto Moreno but will avoid him for the time being with Liverpool's tough start. Manchester United should be solid defensively under Jose Mourinho and I have my eye on Luke Shaw but I will wait to see how he returns from such a long lay-off first. If there is one area I feel I can improve on from last season it's my goalkeepers. In the past two seasons I've gone with one playing goalkeeper and played him every week. This season I will have two playing goalkeepers who I can rotate. I'm pretty sure I'll start the season with my current duo of Ben Foster and Tom Heaton at 4.5m each. Both keepers have proven themselves in previous seasons as worthy FPL options. I also expect West Brom and Burnley to be solid defensively. Follow me on Twitter as I aim for a third consecutive top 400 finish in FPL! Guest blogger Kyle Norbury looks at how to balance the books with your 3 strikers. The key? Be open-minded and do the research. And don’t let your favourite club get in the way. After last season, the most important thing is not to be stubborn when assessing all the forward options. Jamie Vardy (start price 6.0- now 10.0) and Odion Ighalo (then 5.0- now 7.5) were the in-form strikers in the first half of the season. Vardy finished joint-top scorer and was a must-have, especially during his record-breaking run of goals, while Ighalo surprised many with his scoring form, even netting against big clubs Liverpool and Chelsea. It was a lesson to many not to underestimate budget options and not to write players off due to perceived poor fixtures. Shane Long was another who hit double figures despite having a moderate price tag. Those who invested heavily early on last season on the most expensive strikers suffered as a result of the previous season’s highest scorers Aguero, Kane and Costa being out of form. As it is uncertain whether it will pan out like last season or the big-hitters will be the ones to have, it might be best to hedge your bets and go for a 2 premium, 1 cheap model in attack. The obvious cheaper players are Callum Wilson and Shane Long, both 6.5, who can be as good as some of the premiums in terms of cost per goal. Wilson’s knee injury in gameweek 7 ruled him out for the rest of the season, but he scored 5 up until then, with a hattrick against West Ham. Long managed to displace departed Graziano Pelle out of the Southampton line-up and looks likely to continue as first choice under new boss Claude Puel. Saido Berahino will be on many people’s watchlists at 6.5, and he could yet leave for a more attack-minded team. 9.5% have also taken a punt on last season’s Championship top scorer Andre Gray. If he can be as clinical as Danny Ings was for Burnley 2 seasons ago he will be a decent acquisition, though his record last season indicates that he may be even better. An honourable mention must also go to Alvaro Negredo. He scored 9 goals in 32 games during his previous stint in the Premier League. However, he struggled for form last season after his €27 Million move to Valencia - during which they had 3 managers and finished 6 points above relegation. It will be interesting to see how he does in the North East. A new Ravanelli? Or a new Alves? We will find out soon enough. Of course, don’t rule out the premium options, because they are usually the highest priced strikers for a reason as they tend to score the most goals. The best way to make up your mind on which of the premiums to go for is to compare value and the stats. The big decision this season is which of the two big-hitting strikers to include in your team. While Aguero’s goal record is unquestioned (13.0), he is too expensive to partner with Ibrahimovic (11.5) if you want to ensure points from all over the pitch. Picking those two biggest names would leave you just 5.8 per player on the rest of your squad, making it impossible to own a team of 15 starting players if you own even a 6.5 striker and 2 premium midfielders (Mahrez, Payet, Mkhitaryan, Hazard, De Bruyne or Sanchez). Interestingly, if Zlatan Ibrahimovic gets as many goals and assists this season as he did in Ligue 1 last season, he will score 191 points and that’s before points for minutes played and bonus points are added. 38 goals and 13 assists are numbers Aguero has never reached and Zlatan had a far superior goals per game ratio at PSG than Aguero does for Man City, but the Argentinian has age on his side, 6 years younger than Man United’s new number 9. Aguero’s 0.68 goals per game in the Premier League is still better than any current Premier League player, so it is a difficult decision to make and one which supporters of Man City and Man United fans may use their club biases to decide. However, it may be better to consider how you would spend the remaining cash. The second premium striker spot will depend on who you choose between Ibrahimovic and Aguero. The 1.5 left over from picking Ibrahimovic allows you to fit Kane (11.0) or Vardy (10.0) in much easier, whereas 13.0 Aguero may leave you with a choice between 9.0 Lukaku, 9.0 Giroud and 9.5 Costa. Having been fantastic value options in previous seasons, Kane and Vardy have rightly taken a huge price hike this season. Their goal stats were better than any other striker last season, finishing level on points with 211 each. Vardy’s points per game was particularly impressive as he played 2 games less than the Tottenham striker. 13% of managers still think Vardy is worth 10.0, while 16.2% have kept the faith in Kane, even now he is the 3rd most expensive striker in the game. Looking closely at last season’s statistics, Harry Kane took the most shots per game of the above 5 (4.2, more than Aguero), but Aguero and Vardy’s were in more dangerous areas. Vardy had 2.5 shots per game inside the penalty area, second only to Aguero. 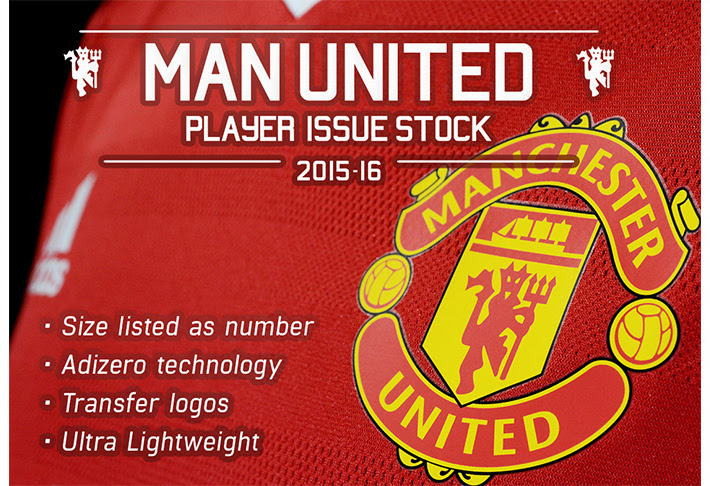 If you would prefer to look elsewhere for value, then Romelu Lukaku could be your man. Diego Costa is 1.5 less than he was last season. His points per 1.0 would be 15.7 this season if he were to recapture his 2014/15 form; still less than Lukaku of last season. Lukaku vs Costa is a close call, as both look to benefit from a new regime. Both Everton and Chelsea will be expected to improve and could push Vardy and Kane for starts in your team. Obsessive fantasy football manager and have been for many years. Bit of a nerd when it comes to stats. Potential over form over fixtures. #TeamIbra. When will Fantasy Premier League (FPL) go live?